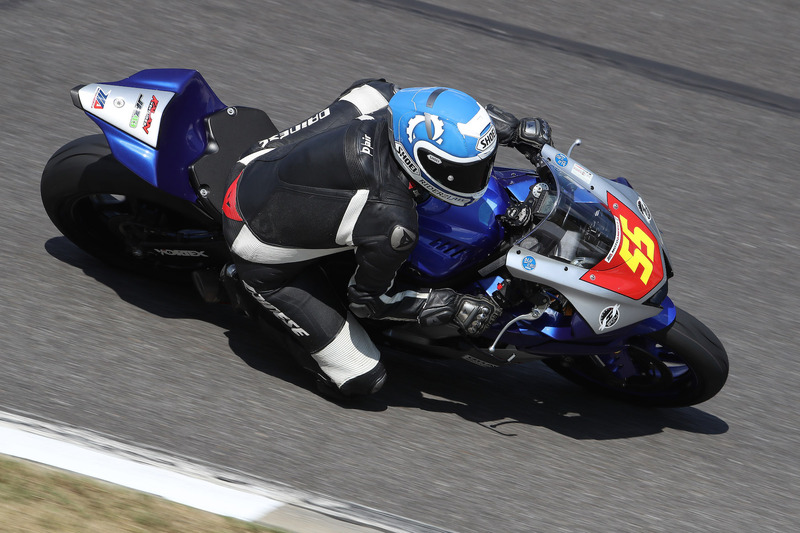 Coming into the weekend, Aguilar (RiderzLaw/Aguilar Racing) led his RiderzLaw teammate Michael Gilbert (MG55) by a mere three points. Saturday went well for Aguilar, who led for most of the race, taking first place, and extending his lead to a daunting 17 points. Not one to go quietly, Michael Gilbert and his crew worked into the evening on some set-up changes to find more speed and give Gilbert a fighting-chance at the title. The much-anticipated showdown was not to be, however. Though the changes seemed to work, a disastrous crash in P1 left Gilbert without a ride, and the championship went quietly to Aguilar before the race began. MG55 photo by Brian J. Nelson. Robert Pierce leading a pack aboard his RiderzLaw R6. Photo by Brian J. Nelson. RiderzLaw-supported rider Josh Herrin also notched his best finish of the year, finishing second on Saturday aboard a Monster Energy/Yamaha Factory Racing R1. 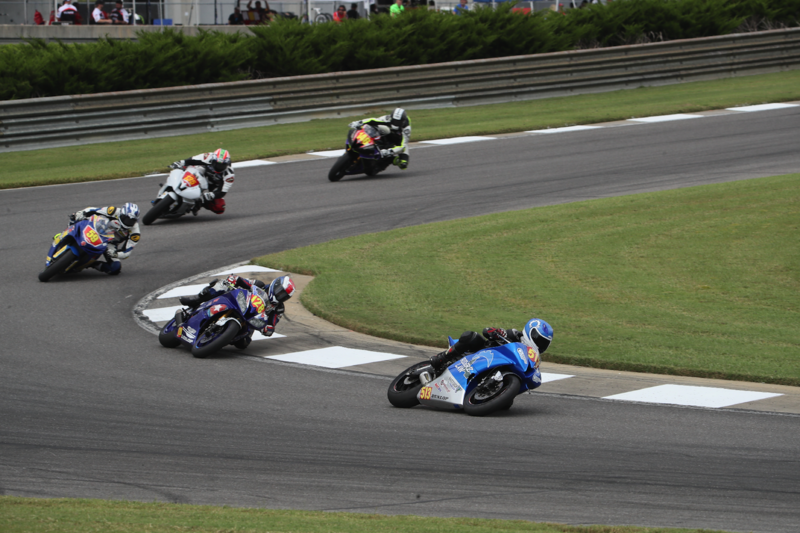 Herrin looked set to make a run at his first win of the year, leading race 2 on Sunday, before a sudden downpour resulted in a red-flag. After a series of crashes and multiple red-flags, several riders, including Herrin, elected not to participate in the race. When the race was finally concluded, Matthew Scholtz of Yamalube/Westby would make history as the first rider to win a Motul Superbike race on a Superstock-spec 1000. RiderzLaw has a dedicated team of lawyers who are experts in helping victims of serious motorcycle accidents. For more information, visit riderzlaw.com or call 1-888-5-RIDERZ. Follow RiderzLaw on Instagram @riderzlawracing.